It is a fundamental principle of arbitration law that arbitrators – whether appointed by one of the arbitrants, by the arbitrants jointly or by a third party (such as an arbitral institution or a national court) – must be impartial. This principle is enshrined in institutional arbitration rules and national legislation. It is, therefore, not surprising that, when doubts as to an arbitrator’s impartiality arise, one of the arbitrants will seek to have the arbitrator removed. The importance of the parties’ right to challenge an arbitrator on the basis of justifiable doubts as to the arbitrator’s impartiality is illustrated by the recent decision of the High Court in Sierra Fishing Co v Farran  1 All ER (Comm) 560. The decision is notable in two respects. Because, in international cases, arbitrants and arbitrators often come from different countries and different legal traditions, they may have different conceptions of what types of circumstance give rise to a conflict of interests and different assumptions about how any such conflict might be resolved. The IBA guidelines, which were originally formulated in 2004 and have been subsequently revised (most recently in 2014), aim to assist the arbitration community by providing a typology of different kinds of conflict and a system for grading their seriousness. The guidelines list a wide variety of professional, financial and personal connections and place them in three lists: red (split into waivable and non-waivable); orange (waivable); and green (irrelevant). Since their inception, the guidelines have frequently been used by arbitrators (in assessing what circumstances need to be disclosed prior to appointment, or thereafter) and arbitral institutions (when determining challenges under institutional rules). However, national courts have been slow to make use of the guidelines when assessing challenges to an arbitrator’s appointment under national legislation. Although the guidelines do not have statutory force, they do offer a distillation of a wealth of practical experience and an internationalist perspective on what might legitimately be regarded as giving rise to a conflict of interests. The guidelines have, hitherto, hardly appeared in English judgments. But, Sierra Fishing marks a welcome departure in the sense that there was judicial recognition of the assistance to be derived from the IBA guidelines: Popplewell J accepted that the situation that had arisen in the case was within the non-waivable red list and/or the (waivable) orange list. The second notable feature of the Sierra Shipping case was that the court exercised its powers under the Arbitration Act 1996 to remove an arbitrator who had been appointed by one of the arbitrants. While it is not at all uncommon for arbitrators to be challenged, judicial removal of arbitrators is relatively rare. There is a whole host of reasons why court intervention in this area is unusual: first, when challenged, an arbitrator may simply choose to withdraw (so there is no need for the challenge to go further); secondly, in the context of institutional arbitration, the arbitral institution will have had an opportunity to remove an arbitrator for apparent bias under the institutional rules before any application can be made to the court (if a challenge is upheld by the institution, it does not come before the courts); thirdly, many challenges, often being little more than an attempt by the applicant to delay or disrupt the arbitration, lack substance (so they are rejected on their merits). Sierra Fishing Co v Farran involved a dispute arising out of a loan agreement entered into by a Lebanese lender (F) and a borrower which was a company incorporated in Sierra Leone (SF). The agreement provided for disputes to be referred to ad hoc arbitration in England. F appointed a Lebanese lawyer (Z) as its arbitrator. After attempts to settle the dispute had come to nothing, during which time the arbitration was frozen, F informed SF that Z had been appointed as sole arbitrator (under section 17 of the Arbitration Act 1996). SF challenged Z’s appointment on the basis of apparent bias. The relevant circumstances included: Z worked for a firm of Lebanese lawyers (of which Z’s father was a leading partner); Z’s firm regularly worked for F in his business dealings; Z’s father was listed as counsel for a bank, whose top executive management included F; Z’s cv indicated that he also had acted as legal counsel for the bank. In terms of the IBA guidelines, the circumstances gave rise to a conflict of interests under para 1.4 (‘The arbitrator or his … firm regularly advises the party … and the arbitrator … or his firm derives significant financial income therefrom.’) Even though para 1.4 is part of the non-waivable red list – and therefore provided a clear justification for Z’s removal– a significant part of Popplewell J’s judgment was concerned with the question whether SF had waived any objection it might have had to Z’s appointment. It was Z’s contention that SF had lost any right to object to his appointment, having taken part in the arbitral process without objection (see section 73 of the Arbitration Act 1996). Popplewell J did not accept Z’s analysis. Although the waiver principle is an important part of the framework of rules governing an international arbitration, the Sierra Fishing case was not a situation in which the principle could be relied upon. First, a waiver can arise only if the person who has allegedly waived an objection invokes the jurisdiction of the arbitral tribunal. Asking the tribunal to put the arbitration temporarily on hold does not amount to invoking the tribunal’s jurisdiction. Secondly, where doubts as to an arbitrator’s impartiality arise because of the cumulative effect of various circumstances, the fact that the applicant participates in the arbitration when some of the circumstances are known does not prevent the applicant from relying on those circumstances as part of the overall picture that emerges when all the relevant circumstances have been disclosed. There can be little doubt that, in acceding to SF’s challenge to Z’s appointment, Popplewell J reached the correct result. 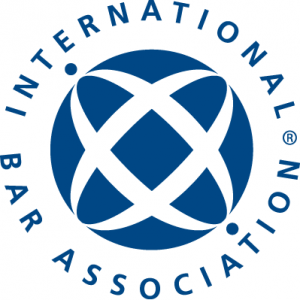 Methodologically, the judge’s reliance on the IBA guidelines is significant; judicial endorsement of those guidelines will only serve to enhance their emerging status as an international standard with which arbitrators ought to comply. It is worth noting, however, that it would appear that, under English law, the waiver principle in section 73 of the 1996 Act is of more universal application than suggested by the IBA guidelines (which includes a list of ‘non-waivable’ conflicts of interest). Although Popplewell J does not spell this out, it is implicit in his judgment that the conflict of interest in Sierra Fishing was in theory waivable, even though it was a conflict which appears in the IBA guidelines’ non-waivable red list. Had Popplewell J regarded SF as having waived its objection, a question might have arisen as to the enforceability of any resulting award rendered by Z against SF. Would SF have had a defence to cross-border enforcement of the award under the New York Convention on the basis of lack of due process (art V.1.b) or public policy (art V.2.b)? This, however, remains a question for another day. Finally, the Sierra Fishing case is a good illustration of a feature of international arbitration which Jan Paulsson – in The Idea of Arbitration (2014) – has identified as, perhaps, its weakest link. Although Paulsson is in no sense against the established practice of arbitrators being chosen by the arbitrants, he considers that arbitrators should be appointed either by the arbitrants jointly or by an agreed third party (such as an arbitral institution). A whole range of potential problems relating to perceived (or actual) lack of impartiality can be generated when an arbitrator is appointed by only one of the parties (even if the other arbitrant also appoints an arbitrator). Part of the problem in the Sierra Fishing case was that the arbitrator ‘[gave] the appearance of having descended into the arena and taken up the battle on behalf of [F] and ‘[became] too personally involved in the issue of impartiality … to guarantee the necessary objectivity which is required to determine the merits of the dispute’ (Popplewell J at ). It remains to be seen whether (and, if so, how) the arbitration community responds to Paulsson’s critical analysis of the difficulties posed by single-party appointed arbitrators. But, radical change on such a fundamental issue seems very unlikely in the short term.